One of my favorite things is looking back on old memories! Today, we have every opportunity to capture wonderful moments. Small cameras and phones make the task a breeze. Pictures from the past can bring out strong feelings, and looking at old photo-albums is very nostalgic! I can sit for hours looking back at what I and my friends were doing in our early years — I’ll never get tired of that! Recently, we wrote about 15 families who recreated wonderful childhood memories, and it was very well received among our readers. 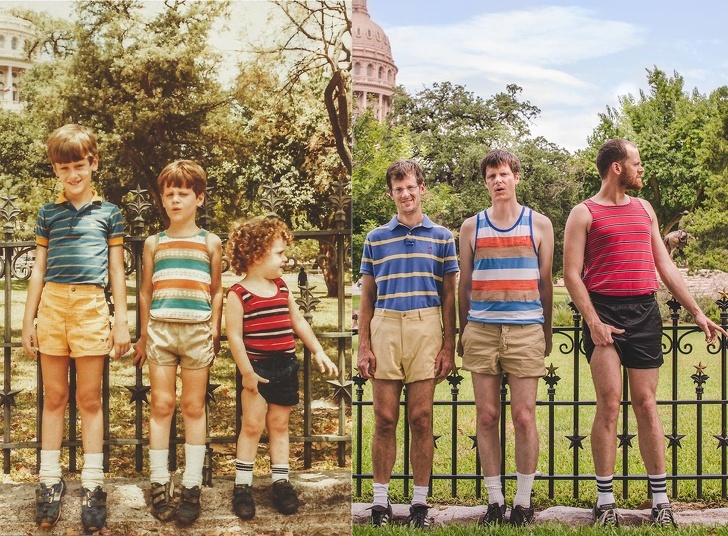 Here’s a similar list — and this time we have 17 pictures, of mostly siblings and parents, who have recreated wonderful memories! 1. 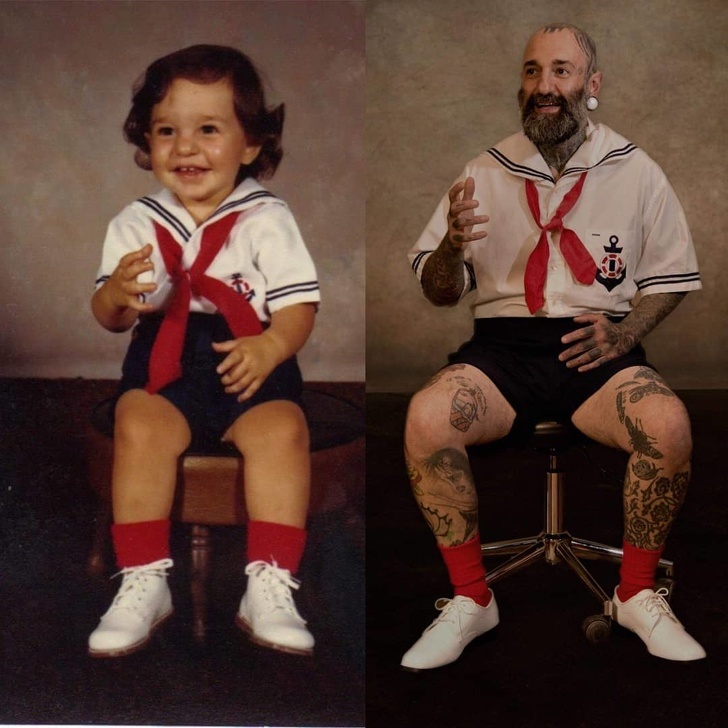 From tiny to giant – but everything else remains the same! 3. 29 years later… Still awesome! 4. Time moves on, but the fun stays! 6. After many years, the same baby face! 7. Once a musician, always a musician! #tbt been in the game a while now. 8. A bread-lover her entire life! 9. They put up with their cousins – even 29 years later! 10. Mmmm… pasta is good! 11. In good families, share all the food – forever! 12. 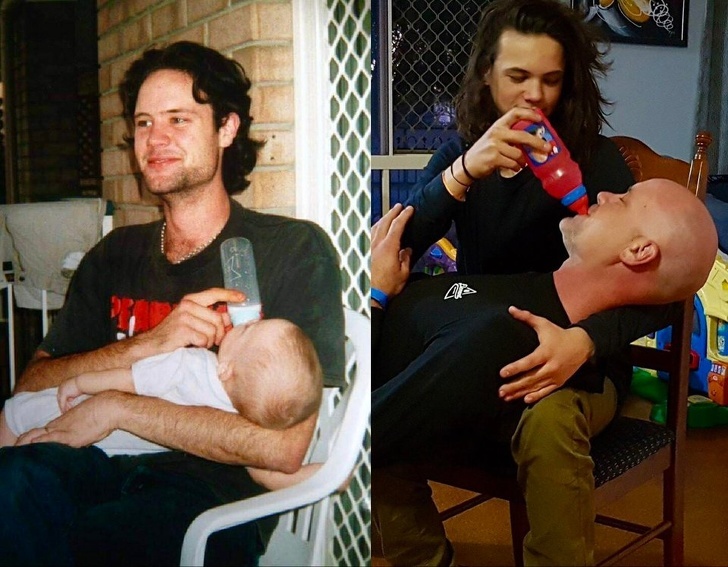 A 10 years gap, but there’s barely any difference! 14. I can’t see the difference! 15. Still Mommy’s Little Girl! 17. 30 years have passed, but it’s still confusing. I think these pictures were absolutely wonderful! Click SHARE to spread joy to your family and friends!